Clarksville, TN – In conjunction with National Signing Day, February 7th, 2018 the Austin Peay State University athletics department will host a special event at 6:00pm that night in the ECHO Power Club Level of Fortera Stadium. 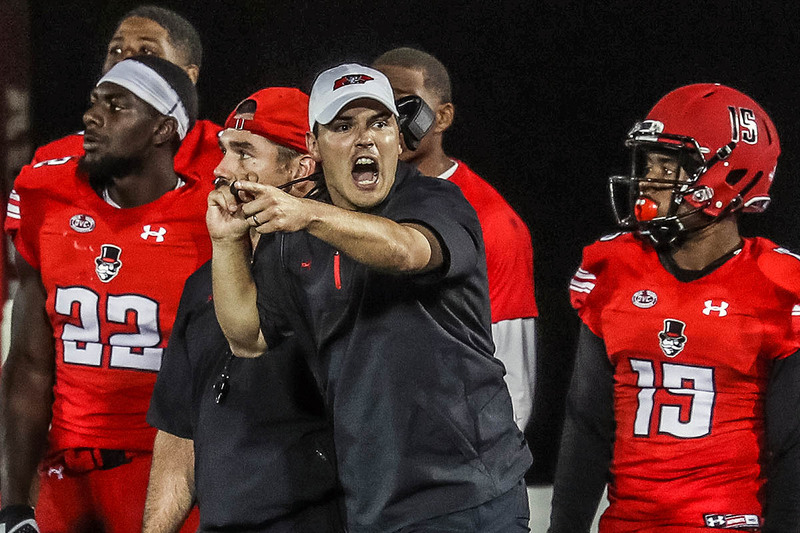 Austin Peay football head coach Will Healy and the Austin Peay football coaching staff will put the finishing touches on its 2018 recruiting class during the event which is free and open to the public. The Govs signed 12 newcomers during December’s early signing period. Balance was the theme for the group as Healy and his staff landed six offensive and seven defensive players. Eight of those early signees will be incoming freshman with the Govs adding five transfers to its 2018 roster. Austin Peay’s 2018 recruiting class currently is ranked fourth among FCS programs by 247Sports.com, which also rated both Jonathon Edwards and Jalyn Shelton as three-star recruits.